Bulletproof durability doesn't have to weigh a ton. 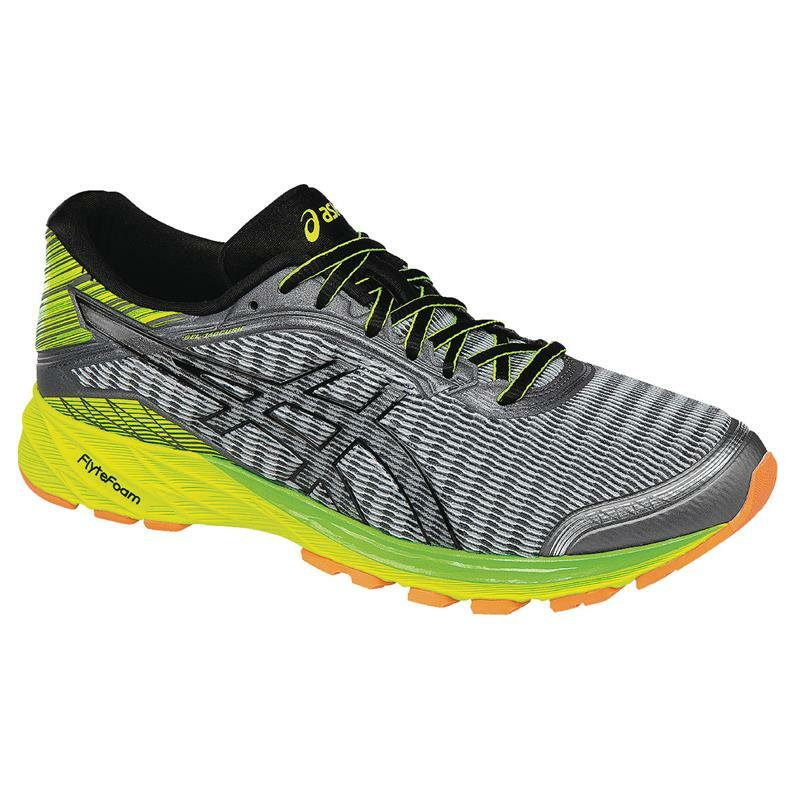 The ASICS® DynaFlyte™ shoe combines FlyteFoam™ Technology with super fibers for a feather light shoe that is strong enough to endure your longest runs. ComforDry™ Lasting: This lasting material features plush underfoot comfort while providing excellent moisture management high level breathability and anti-microbial properties. Discrete Eyelets: Independently placed eyelets disburse lace tension creating a customized fitting environment and enhanced upper comfort.